Bluegrass families and fans make this an annual “must attend” event in Shelton. 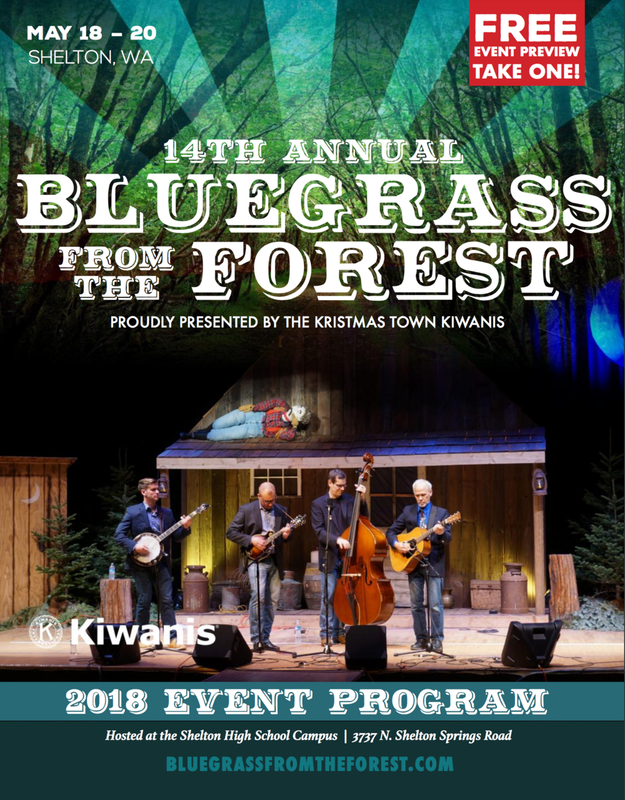 The Bluegrass From the Forest festival offers a full menu of fun, including: live bands, Master Workshops, the “anyone can participate” Band Scramble Showcase, a Banjo Contest, Chick Rose’s Youth School of Bluegrass, Mandolin Tasting, Marv’s Slow Jam, vendors and more. If this schedule isn’t enough to keep your toes tapping, stay up for all-night jamming in the campground, complete with midnight hot dogs. Mile Twelve (Boston) – Sat. and Sun. The Kathy Kallick Band (CA) – Sat. and Sun.